All ready for Women’s History Month is this fine offering which features a fine young woman composer from Lithuania. It comes on the radar of Starkland Records and, happily now, to a new listening audience. I sincerely hope that no one takes umbrage at my off handed categorization of this music as related to minimalism but I’m not sure what else to call it. This 70 minute work is divided into 10 sections which have poetic titles. It is scored for piano, violin, cello, and electronic sound. It comes from an area of the world (Lithuania, Latvia, Estonia) where individual national identities have long been overshadowed by the annexation of the former USSR. In the last 20 years a style related to minimalism has emerged as a characteristic style from this region (primarily in the work of Arvo Part). Some of that is here but this music is at least a generation removed and has evolved its own identity at the hands of this new composer. In an unusual (though not unprecedented) move this album was recorded and produced entirely by the composer in Lithuania. In addition some of her fine color photography is featured in the liner notes (which are mostly by the composer). The production values are very much consistent with the high quality one expects from the Starkland label. In addition it must be noted that this is the simplest and sanest packaging now being used for CDs. None of that fragile plastic and still a functional storage sleeve. Žibuoklė Martinaitytė ? Well she is one of the emerging generation of composers from Lithuania. That, along with her having studied with Bronius Kutavičius (I actually started his Wikipedia article many years ago but his and other articles on new Lithuanian composers is limited still) suggested to me that she may be of the branch of minimalism which hails from this part of the world (i.e. Estonia, Latvia, Lithuania). Wrong, but not entirely. Like a lot of emerging composers we have here an artist fully schooled in a very wide range of musical techniques and possibilities. 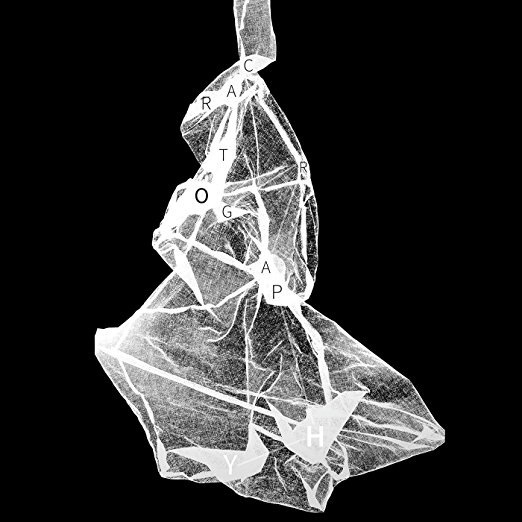 On first listen one hears elements of drone, ambient, minimalism, extended instrumental techniques, and mysterious but effective use of electronics with this small chamber ensemble. The effect is frequently almost orchestral but also capable of great stillness and silence. In the liner notes by the composer she speaks of being inspired by her observations whilst visiting Notre Dame in Paris. She speaks of a rather impressionistic notion of hidden or lost beauty. So I guess that throws impressionism into the mix. The composition does have metaphorical devices which do suggest the emerging of ideas and themes from an initial chaos or, to use Ives term, a “silence of the druids”. One must get to the 4th track to really get a sense that there is actually a piano trio on this recording. Very effective actually and then it fades back into the chaos and then the silence. The album opens with silence into which a drone gradually makes itself known. These meanderings take the listener on a journey which is essentially the artists sonic vision as she walked through and around the iconic cathedral. The listener doesn’t even hear really more conventional musical sounds until about track 4 and concepts like melody and harmony take on a different meaning in this context. It is a large arc of a composition that embraces both chamber and orchestral textures as it tells its sonic tale of the composer’s visions and returns to the chaos of the unfocused mind at the end. This puts this work in the realm of the earlier release (also on Starkland) of Ingram Marshall’s Alcatraz (1982) and Eberbach (1985). Eberbach was later released with its originally intended photographic component along with Alcatraz on a recent DVD on Starkland. And Mr Marshall provides some insight and reassurance in his liner notes for In Search of Lost Beauty. He affirmed for this listener that one needs to listen more than once to perceive the beauty found herein. Recorded and produced entirely in Lithuania the artists include Indre Baikstyte, piano; Ingrida Rupaite-Petrikiene, violin, and Povilas Jacunskas, cello. The recording, done in Lithuania was mastered by the always reliable Silas Brown back here in the United States assures the quality listeners have come to expect from this fine independent record label.